In a Monday night address to a room of University of Wisconsin political science students, Rep. Chris Taylor, D-Madison, pitched a “Student’s Bill of Rights” and took suggestions about additional rights which should be protected on campus. At a meeting of UW-Madison’s Political Science Student Association, Taylor said she and other Democratic members of the state Legislature in the newly-formed Progressive Caucus have been working on a way to build student power statewide. 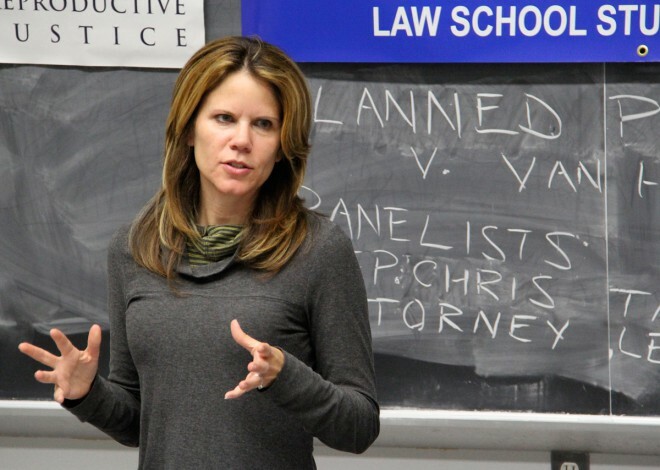 The group landed on the idea of a “Student’s Bill of Rights” — protections which would be drafted in collaboration with policymakers and students, and then passed by state Legislators, Taylor said. Other schools, like the University of Iowa and Oberlin College, have adopted similar student constitutions. 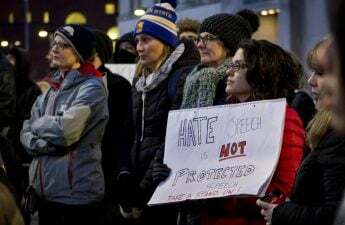 Taylor said the idea was prompted partly by a lack of student presence when she and her colleagues in the state Assembly debate policy and partly by the lack of a mechanism for students to engage with policy outside of the Associated Students of Madison. When the state Assembly passed a First Amendment code, which would have punished UW-Madison’s students who interrupted speakers on campus — a policy which would later be adopted by the UW System — no students were in the crowd to resist it, and very few students even knew it was being debated, Taylor said. Although the bill died in the state Senate, she said a coalition of “thousands and thousands” of students in the state could have prevented such a policy from ever being debated in the first place. “Students can impact policy in a really profound way,” Taylor said. Taylor compiled a preliminary list of the ten rights which should be included in the bill after conversing with members of ASM. 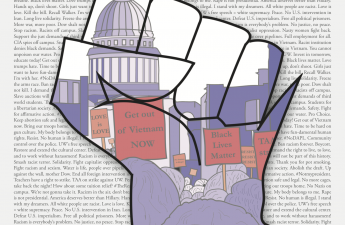 Freedom of expression, access to financial information, discrimination and safety from things like sexual violence and guns were cited by ASM members as the rights most in need of protection for young adults on the UW-Madison’s campus. As she did with members of UW-Madison’s PSSA, Taylor will travel to UW-Oshkosh Tuesday to discuss with students there about what rights they think are most important. 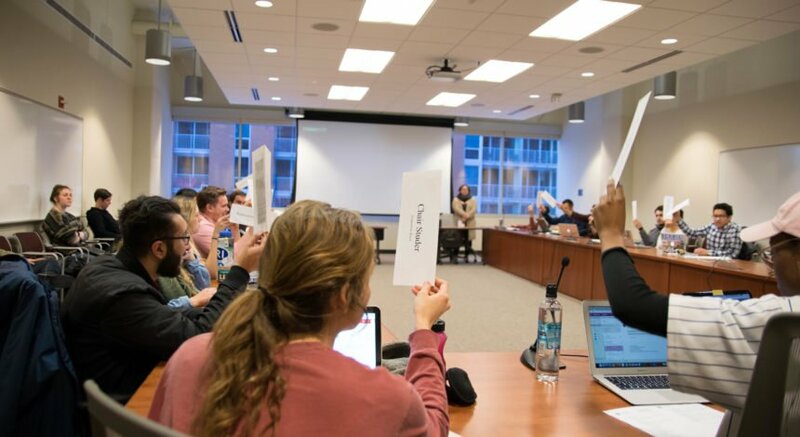 UW-Madison students argued academic freedom, easier voter registration and more accessible food options in dining halls should be included on any prospective bill of rights. UW-Madison student Isaac Johnson said the number one priority with any bill of rights should be better streams of communication between students and policymakers.